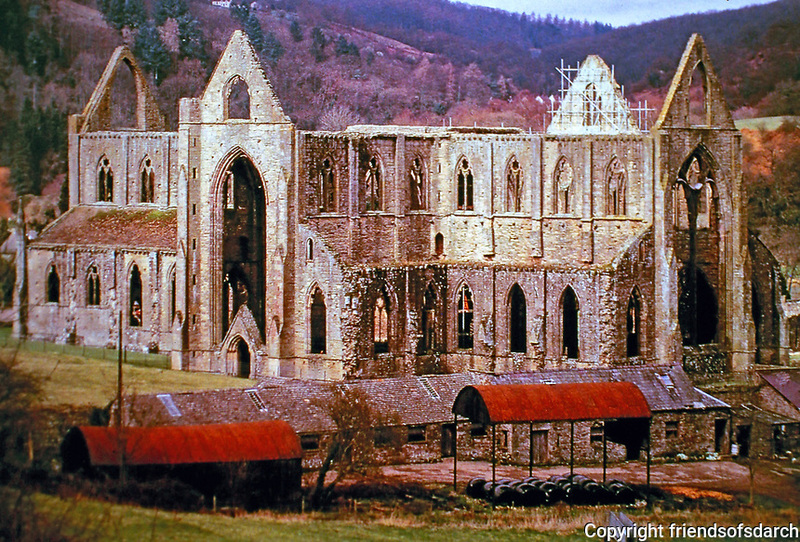 Tintern Abbey, founded by Walter de Clare, Lord of Chepstow, on May 9, 1131. On the Welsh bank of the River Wye. Remains are celebrated in poetry.